First garden day of the spring. Did the season’s first outdoor Home Depot run for implements of destruction. It’s 50 ish out, and it’s time to start killing the noxious weed invaders that own the south side of my house. It’s false morning glory, and it started in the compost pile that the previous owners left. Two years ago this stuff ruled the south side. Last year, I spent days getting it out of the garden, but left the front of half of the house for this year. This year is here. I’ve disposed of the compost pile. It’s a shame to get rid of it; there’s some wonderful dirt in there. 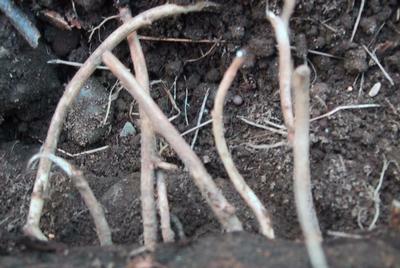 But there are also hundreds of little pieces of vine root big enough to sprout a full grown infestation. Some of the bits I dug up were half an inch in diameter. Lots of it was already growing, one week after the snow storm. It sort of looks like Udon noodles gone bad. I’m beginning to respect the survival capability that comes from the combination of weak, prolific roots and being able to sprout a whole plant from less than an inch of root. 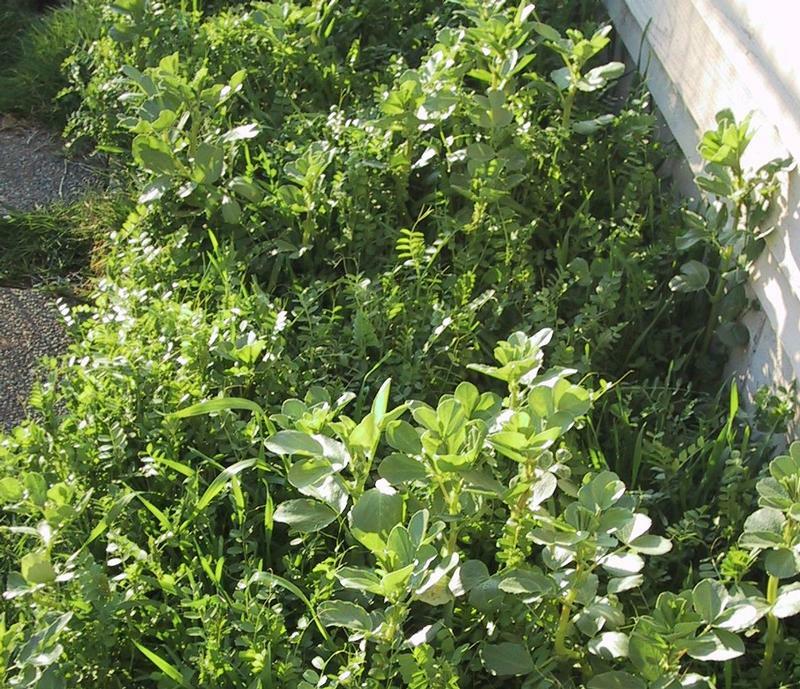 The garden’s cover crop is still going nuts, gathering nitrogen that it will release when it gets turned under in another month or so. In the mean time, it’s crowding out all of the other weeds that I’d have to rip out before planting. And most importantly, it’s not going to go to seed or spread, so it’s contained to where I plant it.